What's more American than the chopper on this black panel?! If you know a motorcycle man, hed love a quilt made with this panel.Everyone lives the American Dream in their own way, some live it on the road! 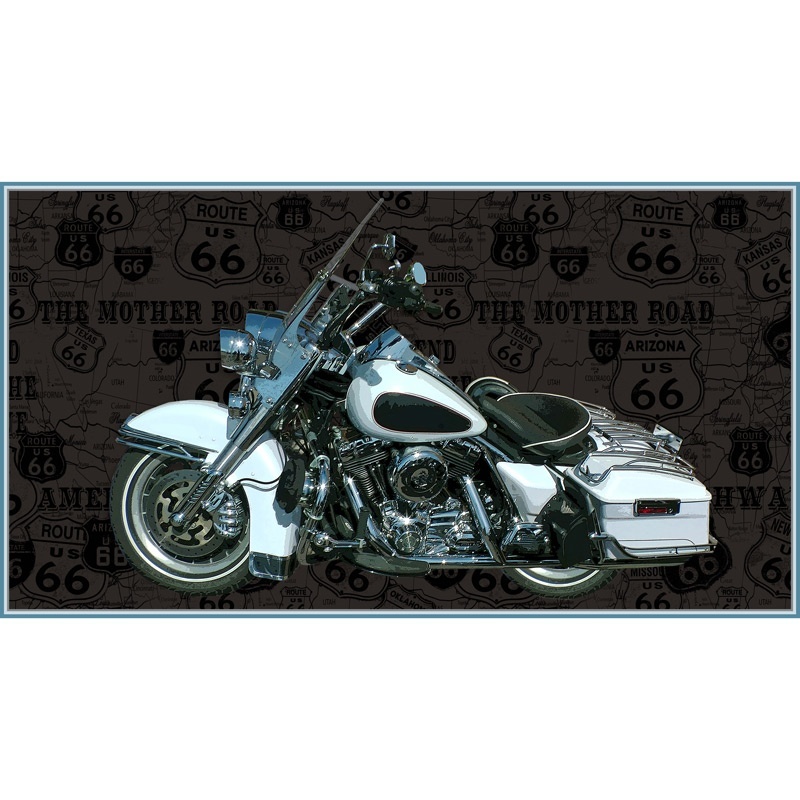 The American Dream collection brings back some of the most beloved American symbols and icons like Route 66, classic Hot Rods and Camaros, and motorcycles. So if youre the type who enjoys expressing your love for America by driving all over it, then this is the fabric for you. 100% CottonPanel size is approx. 24" x 44"Price is per panel.